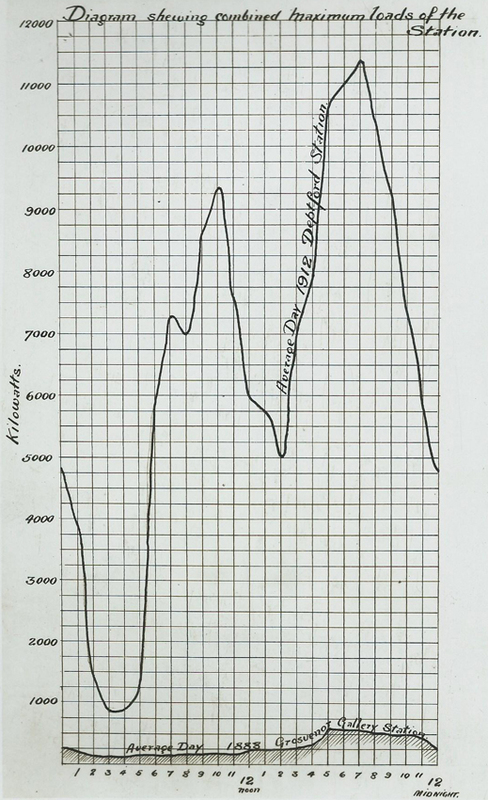 1912 isn't an obvious date to focus upon in the history of electricity generation. However, my interest was piqued by a set of photographs I bought, carefully bound and tied with ribbon, and dated 30 July 1912. The folder of images is titled 'Deptford 1889-1912', and its contents demonstrate the difference between the newly-opened power station of 1889 and its then-contemporary appearance 23 years later. The change is enormous. 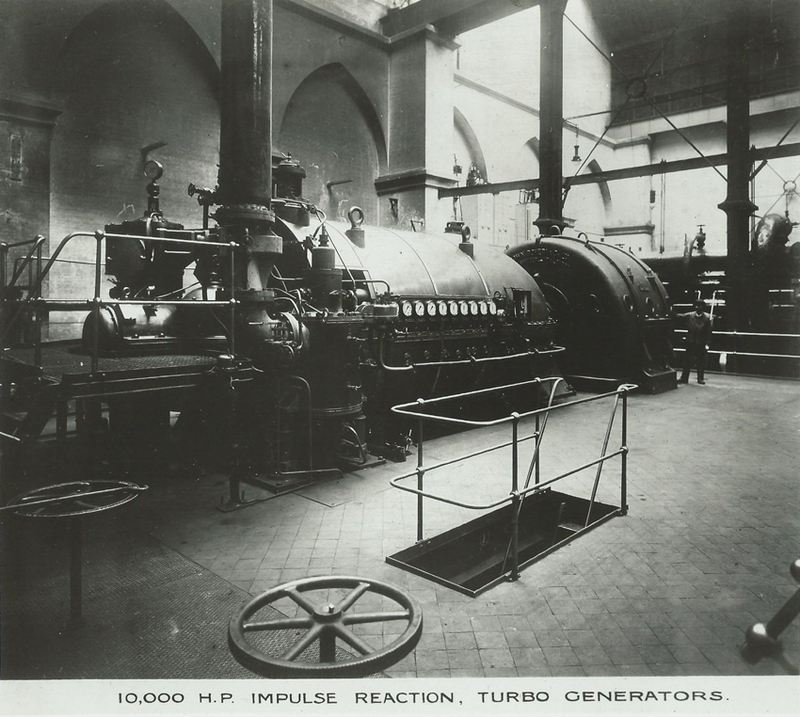 The power station had been the first in the world to supply large amounts of electricity beyond the immediate locality, and was built to an innovative design by Sebastian de Ferranti. 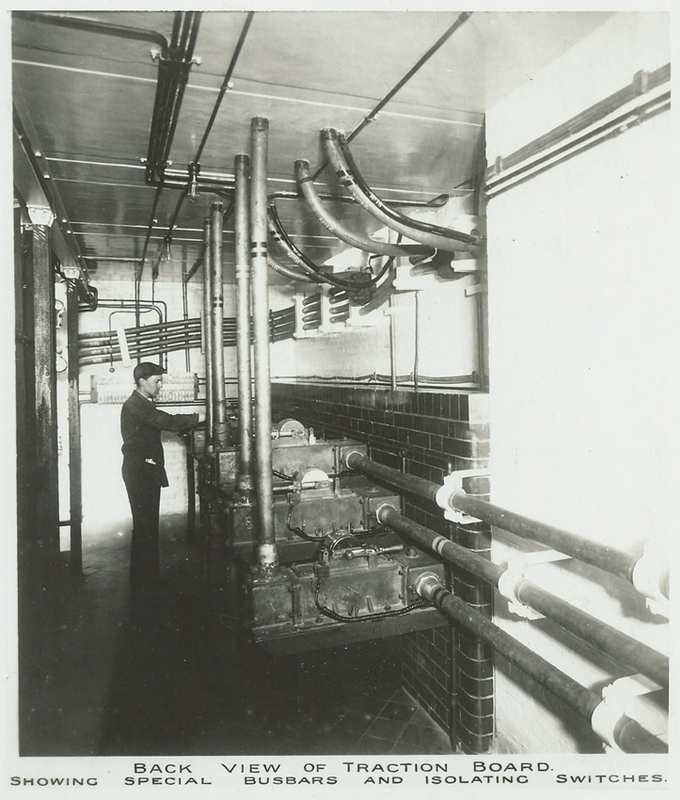 Teething problems, growing demand, and above all the huge strides being made in this exciting new area of technology, meant that by 1912 the power station had been transformed. It also had an important customer: the London, Brighton and South Coast Railway. This package is an expensively-produced item, with the folder custom-made by a bookbinder. Inside, there is a list of signatures on the inner lining paper. Who were these people, and what had brought them together on this date to receive what seems to have been a glossy PR package of its day? That feeling of wonder, and pride in their pioneering roots, seem to have been shared by Deptford Power Station. 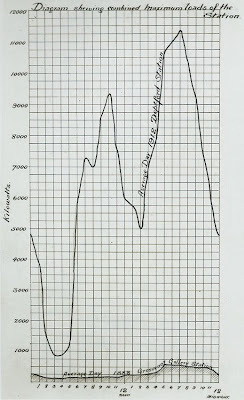 The collection of images includes a graph comparing the station's current daily output with that of its predecessor the Grosvenor Gallery, as well as a picture of the Grosvenor Gallery plant. The Engineer's report focuses heavily upon the technical features of the plant, so only two names of those present are confirmed: Mr G W Partridge, the company's chief engineer, and Mr R Stewart Bain, its managing director. Sure enough, Partridge's signature appears here although I don't think Stewart Bain's does. Who else was present to sign this folder? One of the names is indecipherable, others have left little trace in the records I have found, but many of them are an important part of the history of London power generation. 'Crawford' was the Earl of Crawford, a major investor in the power station and chairman of its directors. Indeed, he could be considered the inspiration for the whole undertaking: a visit to the 1881 International Exposition of Electricity in Paris, as part of a government Commission, appears to have enthused him with its possibilities. 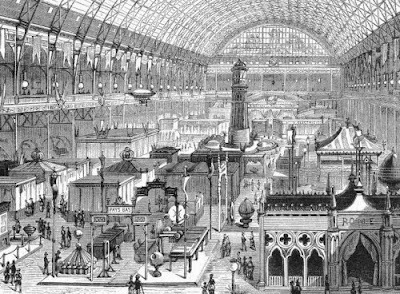 The wonders he would have seen at the exhibition on the Champs-Élysées included thousands of electric lights, live opera transmitted to the exhibition by telephone, and Siemens' electric tramway. There was even a lighthouse! When Sir Coutts Lindsay and his wife Blanche Rothschild Lindsay launched the Grosvenor Gallery on Bond Street, their friend Crawford suggested that they light it with electricity. The Gallery's power plant was so successful that soon it was supplying neighbouring shops and residents, making it the first supplier to London's general public. A more permanent plant was built in 1884, and Ferranti was its chief engineer. The Gallery would thus have the rare distinction of being as important in engineering as in art history (it was closely associated with the Aesthetic and Pre-Raphaelite movements; GF Watts, founder of the Postman's Park memorial, also exhibited there). As the electricity generation business outgrew this small site off Bond Street, the London Electric Supply Corporation (LESCo) was formed and Deptford Power Station planned. The Earl of Crawford was a major investor; Ferranti was employed as the project's engineer. Once the new station was running, the Grosvenor Gallery plant would be converted into a substation. The move was timed well. Although an Act of 1882 had allowed power companies to be established to supply the public, it gave local authorities all sorts of regulatory powers and, significantly, the right to buy the company after 21 years. Given the high capital costs involved, the prospect of being bought out after just a couple of decades was not much of an incentive for investment; but without local authority approval, there was no power to dig up roads, making it very difficult to create a cable network. In 1888, however, the statutory regime was improved somewhat and the power to buy a company could only be exercised after 42 years. 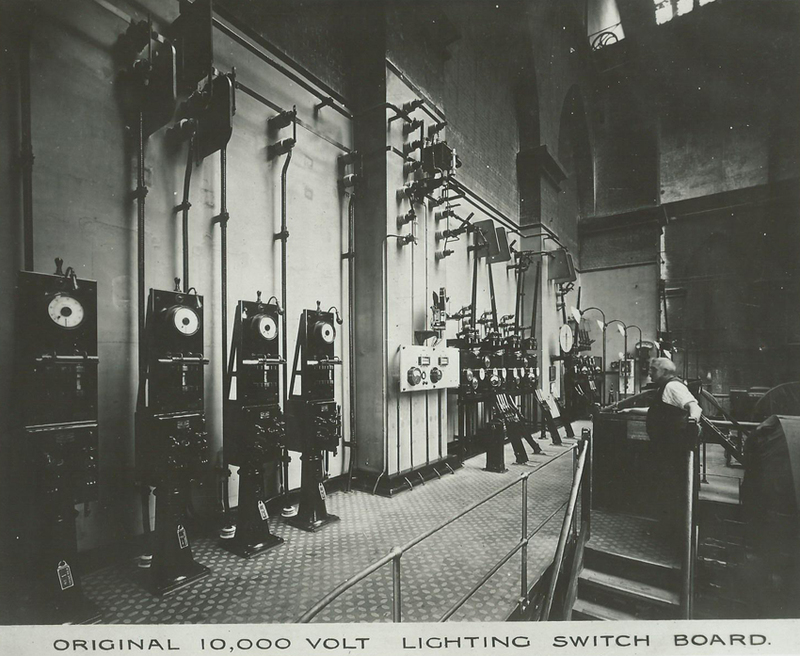 This new regulatory regime, combined with improving technology, saw lots of proposals for electricity companies emerge; in 1890, Deptford began transmitting electricity at 10,000 volts to its substations, including Grosvenor Gallery. 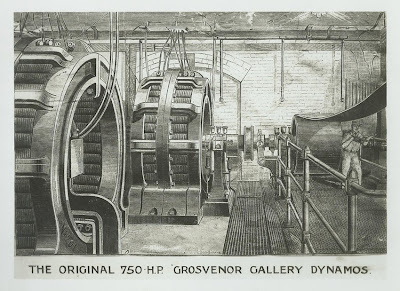 Ferranti's new station, like Grosvenor Gallery, provided alternating current (AC). However, while we take it for granted today that mains electricity is AC, that question had not been settled in 1889. Indeed, there were strong arguments in favour of direct current (DC) - not least that it could be stored in batteries, ensuring continuity of supply should generation be disrupted. The 'Battle of the Systems' had been rumbling on since the beginning of the decade; it was more virulent in the United States, where Edison was a proponent of direct current and attacked Westinghouse's alternating current ferociously. 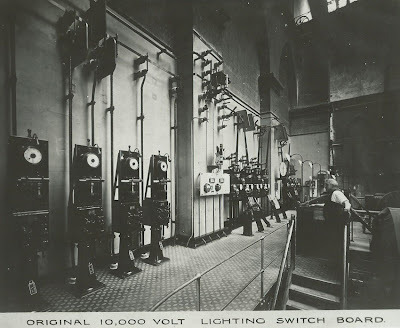 LESCo's cause was not helped when Edison visited Deptford during its construction and criticised the safety of transmitting 10,000 volts of alternating current. The objections to central stations in the heart of London, in the middle of clubland, in the residential neighbourhoods of the West End, or amidst the offices and shops of the central distructs, will become insuperable with the larger growth of electric lighting. The vibration, the noise, the smoke, the steam, the incessant deliveries of large quantities of coal by road, the discharging of ashes and other refuse in a similar way, would constitute in the future so intolerable a nuisance to the dwellers, the workers, or the thinkers in our great city, that we cannot regard any one of the intermural central stations at present working, and, in a more or less satisfactory way, paying, as being anything but a temporary makeshift. The dwellers, workers and thinkers of Deptford were clearly expected to tolerate the nuisance, although it is only fair to mention that some of the problems could be mitigated here by the use of river transport for deliveries and collections. The river was also a useful source of cooling water. While the Battle of the Systems might be a concern, the Earl of Crawford could be satisfied with the location chosen for his great investment. Partridge was Deptford's chief assistant engineer from 1892, shortly after Ferranti left the company, and soon became chief engineer. Although the early work had been completed, the task Partridge undertook was not easy. In particular, he faced constraints which Ferranti had not, thanks to the financial setbacks which the project had suffered. 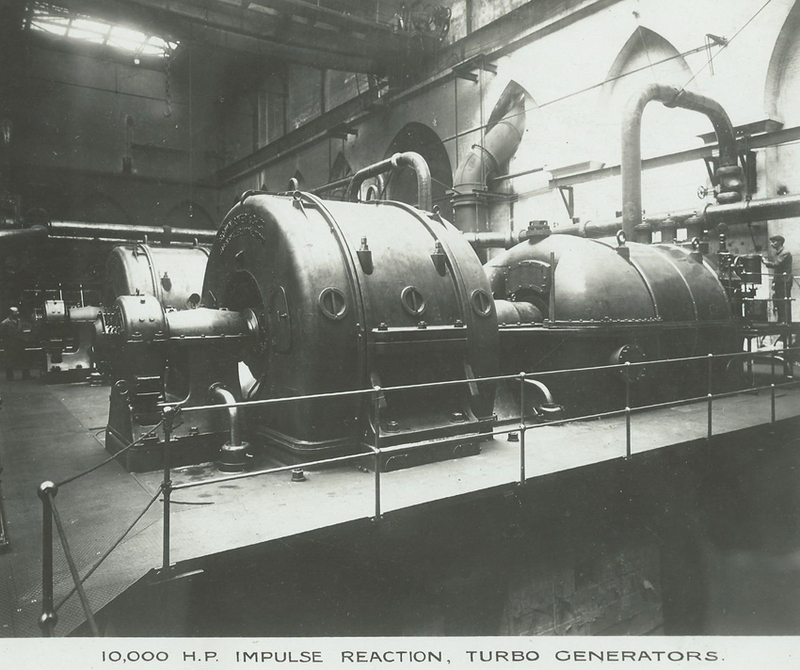 When the company moved its generating station from Bond Street to Deptford, this new large-scale generating station was the first of its kind in the world. That there were teething troubles was perhaps unsurprising. Unfortunately, they proved rather serious, and their cost to the company was high. It had taken on new customers to be supplied from Deptford by 1888, but bad weather and technical problems delayed construction. To take one example, Ferranti found that existing cables could not cope with the 10,000-volt current he proposed to supply to sub-stations. He therefore had to design his own cables, and convince the authorities of their safety. 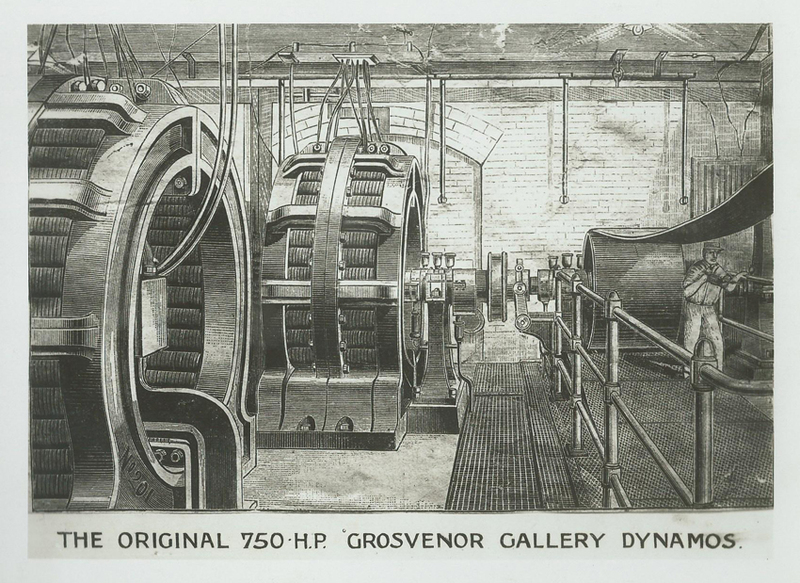 Even when Deptford took over generation and Grosvenor Gallery became a sub-station, the problems were by no means over. 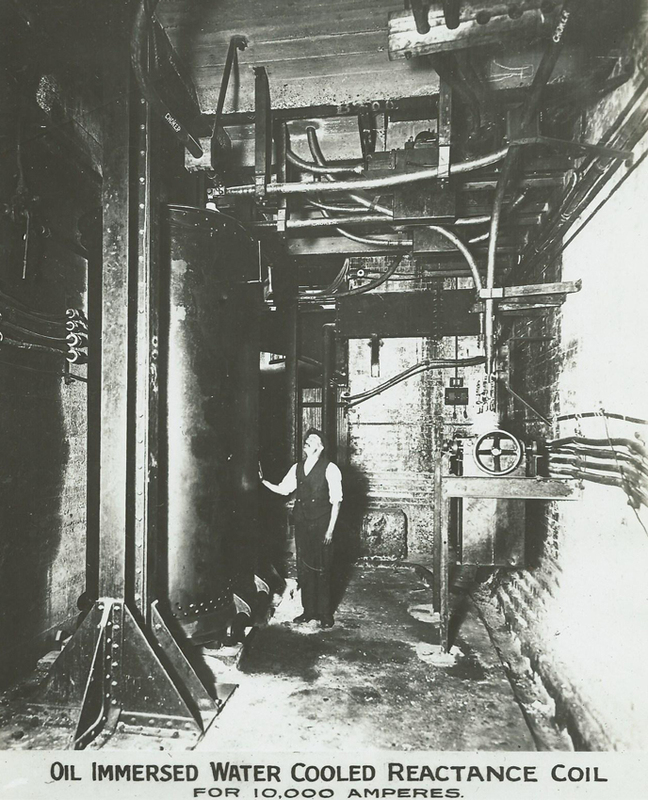 In 1890, an accidental arc caused a serious fire which knocked out the Gallery's transformers. LESCo was left unable to supply customers for three months: as a result, many transferred to other providers. 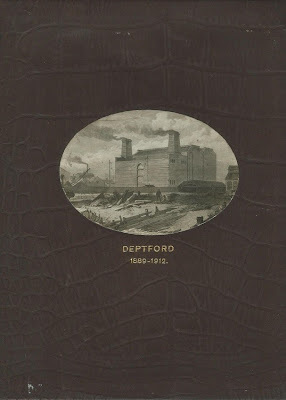 Although new customers soon signed up when Deptford came into full service in 1891, the Board of Trade had limited the company's area of operation and imposed competition from DC suppliers. LESCo postponed the commissioning of further generators and Ferranti left the company. Partridge, then, became chief engineer at a time when the station was focused upon consolidation rather than revolutionary innovation. Nonetheless, as a pioneer of a fast-developing technology, he was required to innovate and much of the equipment used in the power station in 1912 had been made to his design. 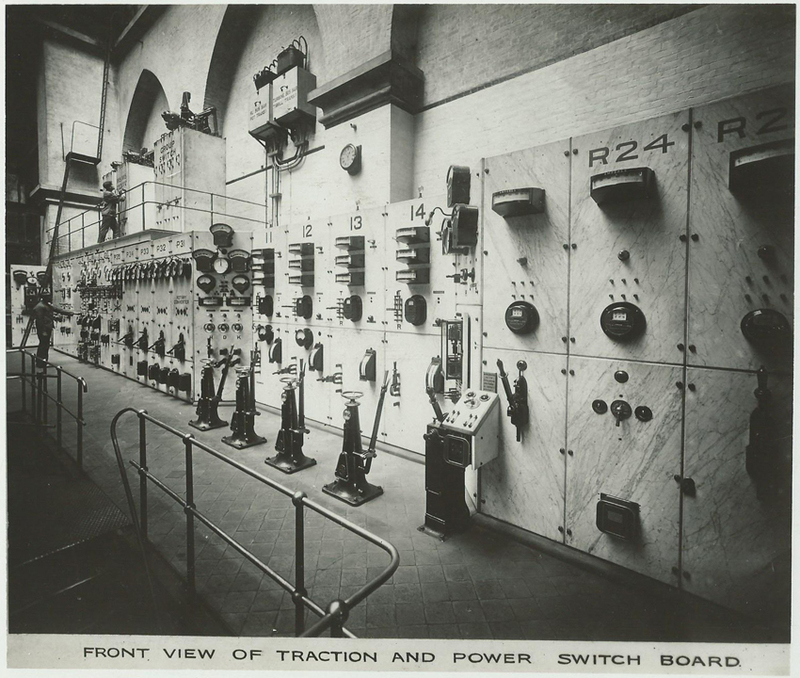 Among the developments for which he was responsible were the station's switchgear: in 1895, the Engineer credited him with 'the whole of the detail of this work'. He also oversaw a major refurbishment in 1900. 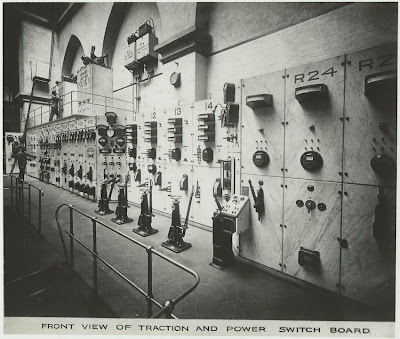 By 1912 the station was, as the Times explained, providing four distinct supplies: the original 10,000V AC as well as 230 or 460V DC power for lighting; three-phase, 6,600V for large consumers and traction; and single-phase 6,600V for the London, Brighton and South Coast Railway. The visit in 1912 must have been a proud moment for Partridge, and not just because he had the new generating sets to show off to his guests. The visitors also admired the other machinery, and the 'feeling of wonder' the Engineer described was in part a tribute to his own work. He would later become managing director, and stayed with the company until 1939. One of the main supplies offered by Deptford was the power for the London, Brighton and South Coast Railway (LBSCR). 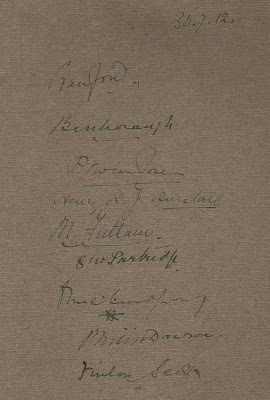 It is unsurprising, then, that its chairman was one of the honoured guests on this occasion, and indeed his signature is present: 'Bessborough', the eighth Earl of Bessborough. His presence reminds us just how far the use of electricity had expanded in a few decades. When Ferranti did his pioneering work, customers used the electricity he supplied almost exclusively for lighting. By 1912, it was powering railways. The LBSCR had been formed in 1846, merging several smaller railway companies. By 1912, its network included the main line between London Bridge and Brighton; lines in East and West Sussex; steamer services to the Continent via Newhaven or Littlehampton; a whole network of suburban lines in South London; and a small freight-only line from New Cross to Deptford Wharf. Its last new line had been opened in 1899, and attention then turned to improving the existing network. In particular, it extended Victoria station (which it shared with the London Chatham and Dover Railway) and London Bridge station (shared with the South Eastern Railway) and electrified its network. The electrification project was partly stimulated by a rival proposal in 1900 to build an electrified line between London and Brighton. The company's works were also struggling to supply and repair sufficient locomotive stock, and there was competition on the suburban services from electric trams. The process of adapting to electric power began on the suburban lines in 1903, when Parliament gave authority for the change, with the first section of electrified railway (London Bridge to Victoria via Denmark Hill) opening in 1909. Given the geographical area covered by the railway, it is perhaps unsurprising that they chose LESCo as supplier. 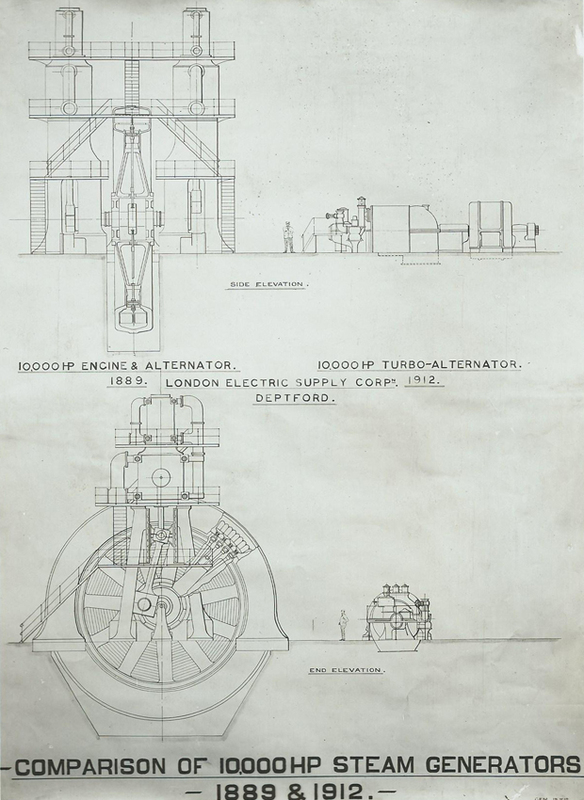 Judging from results, the single-phase alternating current high tension system of electric traction which - after being so generally approved by Continental railway experts - was first adopted in England by the "London, Brighton and South Coast" Directorate, promises to furnish an initiative for phenomenal developments in the direction of main-line electric travel. 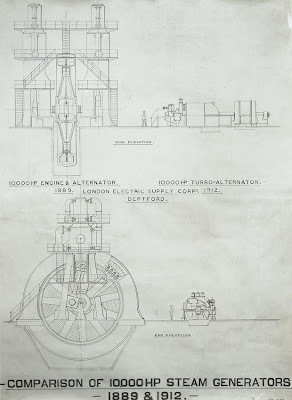 Bessborough had become a director in 1895 and Chairman in 1908, so he was involved in the electrification programme from its very earliest stages. He remained Chairman of the company until his death in 1920. Philip Dawson, the railway's consulting electrical engineer, was also present. For the railway, as for LESCo, this new technology had posed challenges. Dawson had been there almost from the beginning, assuming his role in 1903 when parliament granted the railway permission to electrify. 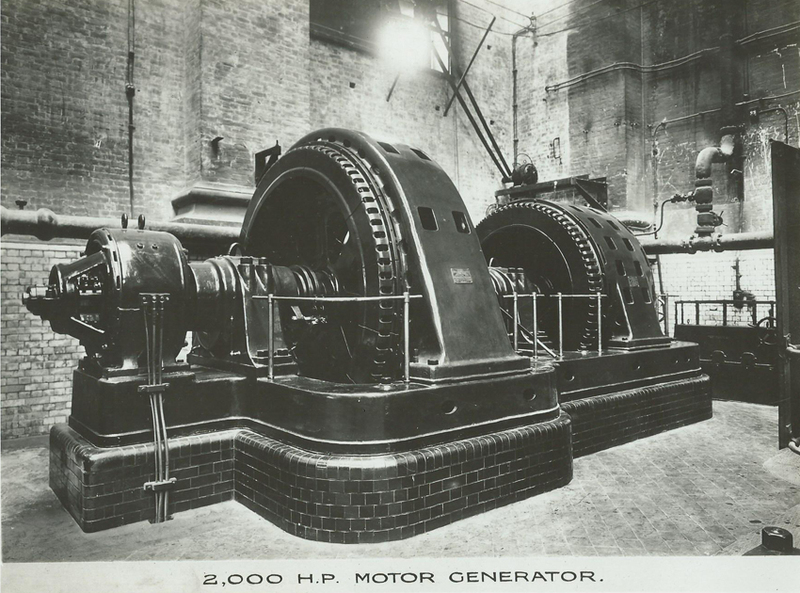 The transformation of public transport began when Lots Road power station was built between 1902 and 1905 to power London Underground. The early twentieth century saw rapid growth in the electrification of railway lines, but with no consensus on the method to be used (unsurprisingly given that the Battle of the Systems was only just being resolved). Not only was there the choice of AC and DC current, and of voltage; companies also had to decide between overhead lines or third rail systems. It was on Dawson's advice that the railway had chosen to use overhead lines, providing a high-tension supply of 6,600V AC. One of his considerations was the need for the system to work on long-distance lines as well as the suburban ones which were first to be electrified. 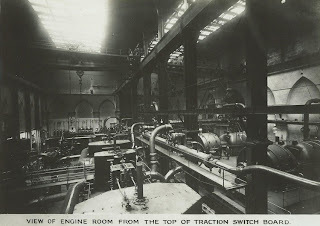 Deptford supplied power at 6,700V to a switch room and distribution room in Peckham; from there, it was distributed through lineside cables to each station, where further switch rooms supplied the overhead wires sixteen feet above the rails (lower under bridges and higher at the termini). Dawson had other connections to the local area. He had lived in Sydenham since 1902, and would become a London County Councillor in 1919 for Lewisham West; two years later, he would become the constituency's Conservative MP, holding the seat until his death in 1938. As MP, he advocated the creation of a central body to co-ordinate the country's power requirements. Much less palatably, he was an admirer of Mussolini (in 1933 he wrote an enthusiastic letter to the Times, while his obituary describes his parliamentary work to encourage friendship between Britain and Italy), and argued for restrictions on the numbers of Jewish refugees admitted from Nazi Germany. Henry Robert John Burstall was also an electrical engineer, who had authored an account of 'The Electric Lighting of Edinburgh' in 1895. By this time, he was living in London, although he had been born in Aberdeen. The 1911 census shows him as living in Shiplake (where he employed a governess for his six-year-old daughter and a servant) and working as a consulting engineer. In the First World War he would be Sub-Section Director, High Explosives Contracts for the Ministry of Munitions. Unfortunately, despite these scraps of information, I have not yet discovered his exact role at the 1912 event. The Official Guide to the London, Brighton and South Coast Railway for 1912 lists Finlay Scott as Superintendent of the Line, based at London Bridge. He had held the position since 1907. One signature is very difficult to decipher, and although my first best guess was P Vivian Jones, the presence of one P V Rose, Solicitor, in the Official Guide suggests that he is the most likely candidate. 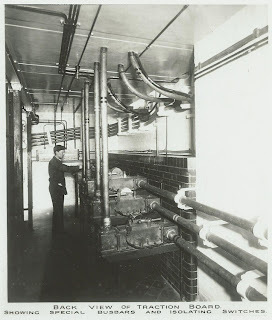 Also based at London Bridge, Rose perhaps appreciated the opportunity to see in reality the machinery whose power was the subject of so many legal documents. Five years after this meeting, P V Rose would be dead, a casualty of the Great War. He had been a solicitor in his father, Sir Philip Frederick Rose's firm as well as solicitor to the railway company, but it was his ten years' militia service which led him to volunteer. Badly injured at the Battle of Loos in 1915, Captain Rose spent 15 months as a prisoner of war. In December 1916 he was freed in an exchange of prisoners, but still suffered badly from his injuries and had his right arm amputated. In April 1917, he died under anaesthetic during an operation on his feet. He was 48 years old, married with three children. Two mysteries remain. 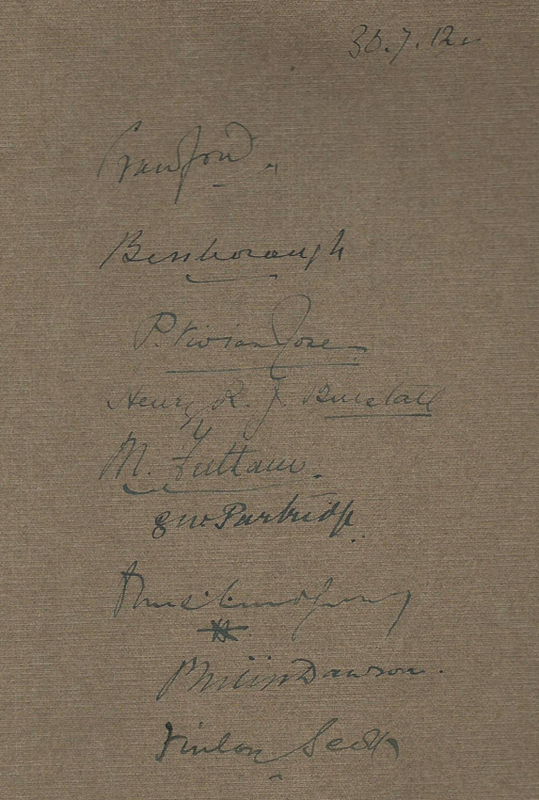 One signature is something like 'M Futtam' but I haven't identified him. A final signature has proven impossible to decipher. If anybody has suggestions, do let me know! 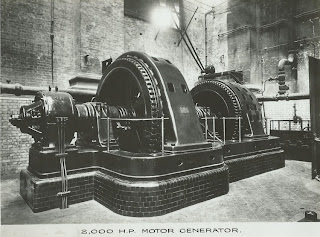 M A C Horne has produced an account of the early days of London power generation, available online as a PDF. To explore London's lost power stations - as well as its gas industry - see Ben Pedroche's recent book, London's Lost Power Stations and Gasworks. A booklet 'Cradle of Power: The Story of the Deptford Power Stations' by Rob Cochrane is available second-hand from sources including Abebooks. There is a chapter devoted to the Grosvenor Gallery and Deptford in Robert Monro Black's History of Electric Wiring and Cables. Chapter 8 of John Howard Turner's The London Brighton and South Coast Railway: III. Completion and Maturity describes its electrification programme. M. Fritham? Thos. Lindfrey? (Note the two dots in the second, which seem deliberate: one a full point for an abbreviation, the other an i dot?) Both surnames are real. I often walk past the surviving building of R.E.B. 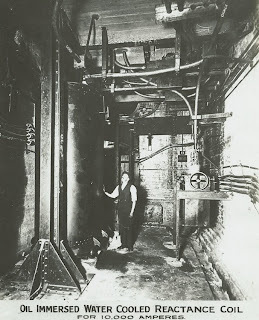 Crompton's 1887 generating station in this little passage leading off the south side of Kensington High Street opposite Kensington Palace Gardens. 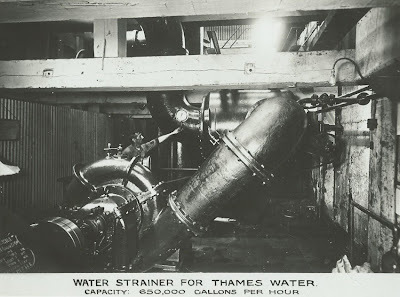 Apparently it once had seven steam engines in an underground chamber, which must have been a wonderful spectacle. Worth a try, thank you! I shall do some more searching with those. And thank you for a new place for my to-visit list. I think also it is very important to get something for people to see near the site, one of the many things on the riverside which is very neglected. Also there must be a considerable amount of reference material on the power station -I can ask around if you like. But those pix are amazing. I worked at the last deptford power station, We watched the demolition of the old LP (low pressure) plant, a sad event. The site of the original Ferranti station. Deptford HPhad three turbines and 150MW output. I was the assistant electrical engineer. in the 1970's for two years - two great years.